The numbering in the four descriptions in this inventory is different, curious, and potentially very significant. The first two volumes are not numbered as part of their 4-volume set in these descriptions (although they have inventory numbers "123" and "124" in the margin), yet they clearly were considered to be a set, because the first one is 'in one volume that, with the three other volumes, make a complete missal, in large and beautiful script, in double columns'. The fourth description here corresponds to the second volume in the 18th-century inventory. In the present document it is described last, so we would expect it be be described either as the fourth volume of the whole set, or else the second volume of the two main Missal volumes, but instead it is called the "tercia pars". It is therefore highly suggestive that this is the one that most closely matches the surviving volume of the Hangest Missal. How can we account for this confusion in the numbering of the volumes? We are told by the 1926 Sotheby's description that the Hangest inscription was "On the blank recto of the first leaf of the calendar". 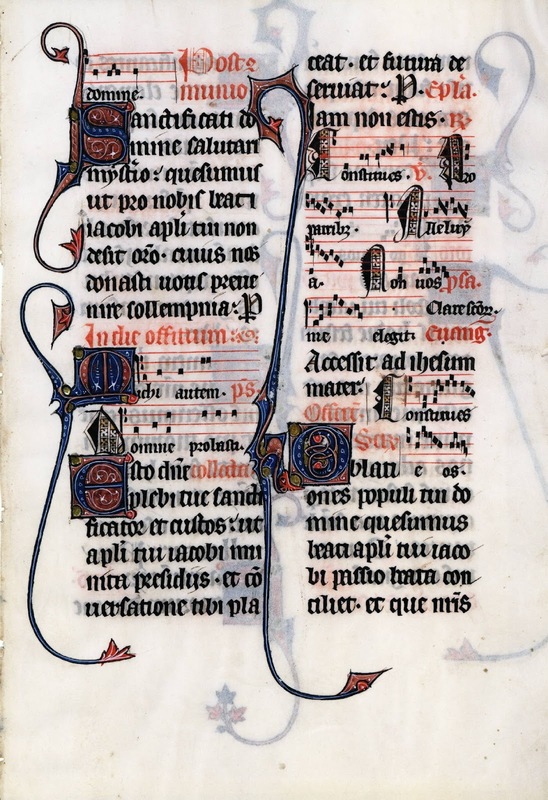 This is very surprising, because in 99% of cases a calendar occupies 6 or 12 leaves (with each month occupying either a single page, or both sides of a single leaf), beginning on a recto and ending on a verso. But it is confirmed by the extant calendar leaf sold at Sotheby's in 1985 (recto: February; verso: March) and by the one at Harvard (recto: August; verso: September) that the Hangest calendar was unusual: the first page of the first leaf of the calendar would originally have been blank, with January starting on the verso. 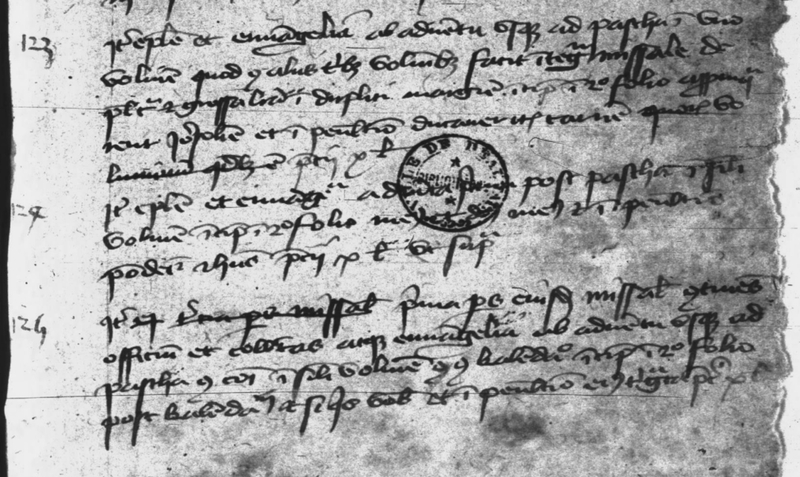 Anyone in the 15th century opening the book at the beginning would have immediately encountered the Hangest "tercia pars" inscription, presumably on an otherwise blank page, before getting to the actual text. It seems quite likely that this is what happened to the cataloguer in December 1464. Perhaps he began to describe the third of his the volumes as the "tercia pars", but then, because he knew that the fourth volume describes itself as the "tercia pars", he changed this to "prima pars". Added to the fact that each volume of the four-volume set discussed above is valued at very high price of 10 livres, and was kept in the treasury, the identification becomes even more compelling. If the two descriptions reproduced and transcribed above do describe the Hangest Missal, what else can they tell us? One or two thoughts will be addressed in the next post.